This AEG Cordless Vacuum Cleaner is a 2 in 1 cleaner with many other handy features that will make your cleaning tasks less of a chore, such as the 180-degree manoeuvrability nozzle, dust finder lights and BrushRoll Clean technology. 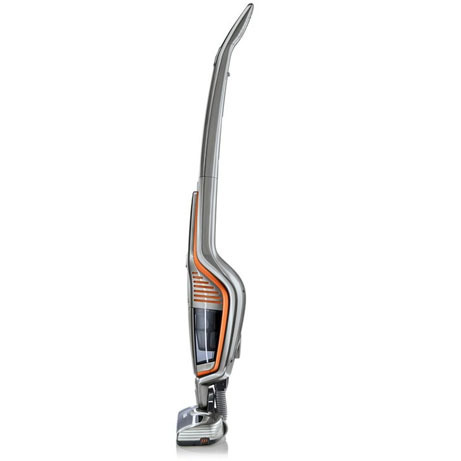 The lightweight and slim design features a powerful motor, with a cyclonic system created for optimum cleaning performance. 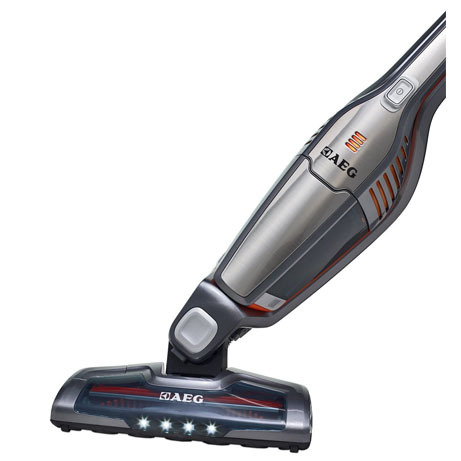 Enjoy a clean home with this 2-in-1 vacuum from AEG, cordless in its design, it features an 18 V Lithium Ion battery that charges in just 3.5 hours. Boasting many handy features that will make your cleaning tasks less of a chore, including the 180-degree manoeuvrability nozzle, dust-finder lights and Brushroll Clean Technology, This lightweight and slim designed vacuum features a powerful motor, with a cyclonic system created for optimum cleaning performance. 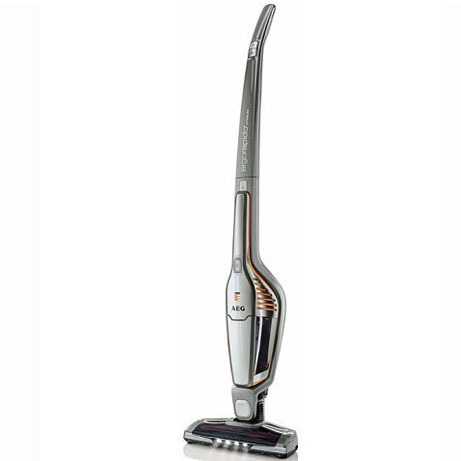 Brushroll clean technology – This removes tangled hair and fibers from the brush in seconds with a quick push of a button. 2-in-1 functionality with pop out handheld unit.